June | 2009 | Full. Body. Transplant. Alphabets of Desire: Playing Tag. Using sounds or scrawled marks we distinguish between fire and water, earth and sky, divide the world up into self and other, man and woman, good and evil, black and white and fish and fowl and sheep and goat. The whole of our experience is broken down into roughly two dozen minimal phonetic glyphs that can be recombined in almost endless permutations, can be called upon to conjure the imaginable universe and all that it conceivably contains. The world of our perceptions, the one planet we can ever truly know, is made of nothing except language, having words instead of molecules and letters in the place of atoms. Upon birth, the human being feels the world directly through its senses. As it grows, the brain begins the process of differentiation. Raw experience is translated into language. The seamless whole universe gets chopped into bite-sized pieces. Easier to digest that way. Unfortunately, the words create as many obstacles as pathways. Pretty soon the human cannot feel the world directly any longer. A skull full of language colors everything around it. The Matrix movies did a good job of showing the basic theory here. After language takes over completely, the brain is helpless to know, for sure, what reality is. We think ourselves into a corner, and the walls are made of words. Is this prison of phonics inescapable? Perhaps. And yet, with the very words that shackle, the poet patterns wings of fancy and flies to the stars, with readers in tow. We may not be able to shake the spell of language, but we can simultaneously celebrate its wonders. 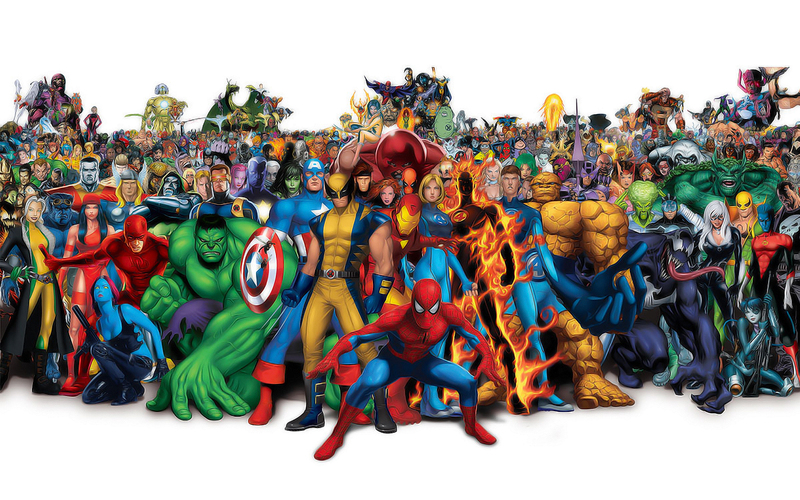 Upper Deck And Marvel Comics Are Joining Forces Again! 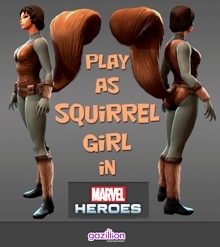 It is the news we have all been waiting for, and it is official. 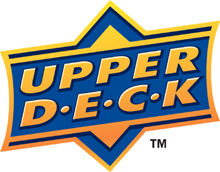 Upper Deck will continue to produce the highest quality trading card games in the world using the most spectacular characters in the universe. That sounds like party time to me. The first new products will be released this January, stay tuned to this station for more news as it breaks. Sunday Mandala: Tributes and Remixes. What a fanglorious Sunday morning this is. Basking in the glow of one human masterpiece reinterpreted by another artist. If you open your ears all the way, you can hear countless cover versions and re-mixes of Michael Jackson’s exquisite catalog coating the entire surface of the Earth. Inevitable synchronicity dragged my eyes across the sizzle of the googlesphere toward a blinking bauble by Alex Duplation Mediation for breakfast. It is a New Day Rising. You see, today’s mandala is an interpretation of Julie Dillon’s champagne bottle crashing with a splash against the flying angel pointed toward the horizon that launched this ship. I started the Sunday Mandala feature twelve weeks ago with her work. Today that image has been spectacularized into a morffledelic chakrabbalah map to the center of infinity equals one equals zero. What a fanglorious Sunday morning this is. I Was There The Day Michael Jackson Bought This At The Mall. One Saturday five years ago I was waiting tables at TGI Fridays at the upscale Aventura Mall in Miami when the whole place exploded. People were running full speed from every store, helicopters were circling, and time seemed to stop. Michael Jackson was shopping with a friend. The restaurant had full length windows along the section of the mall leading to the door that he used to come in and out, so we got to see him in person. The local news reported his purchases on the evening news. 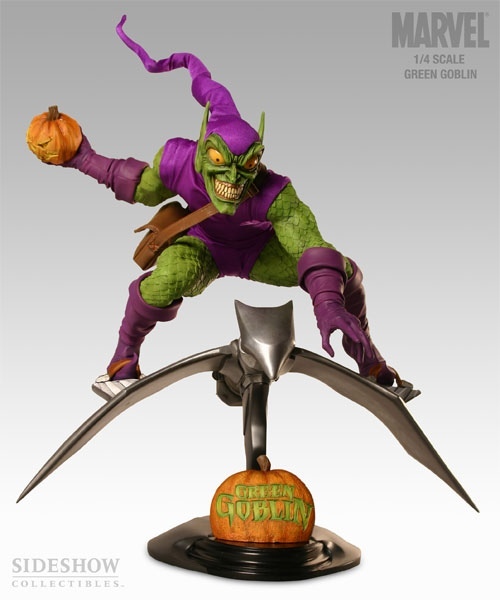 He bought the Green Goblin statue that I had been wishing I could afford. I was glad it finally found a good home. Life is like a bunch of small bubbles dancing under water. When we die, we pop to the surface and rejoin the big air above. Enjoy the greater self Michael. Thanks for the music. 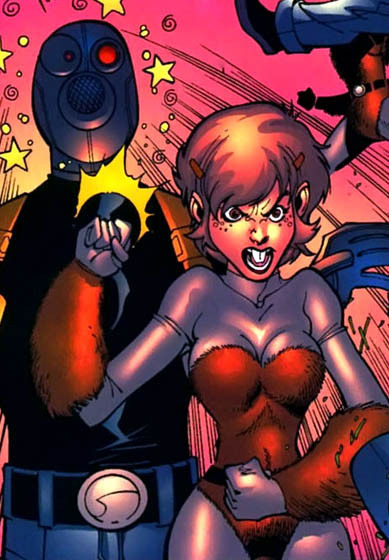 Joe Quesada Confession: He Loves Squirrel Girl. Okay, you heard it. 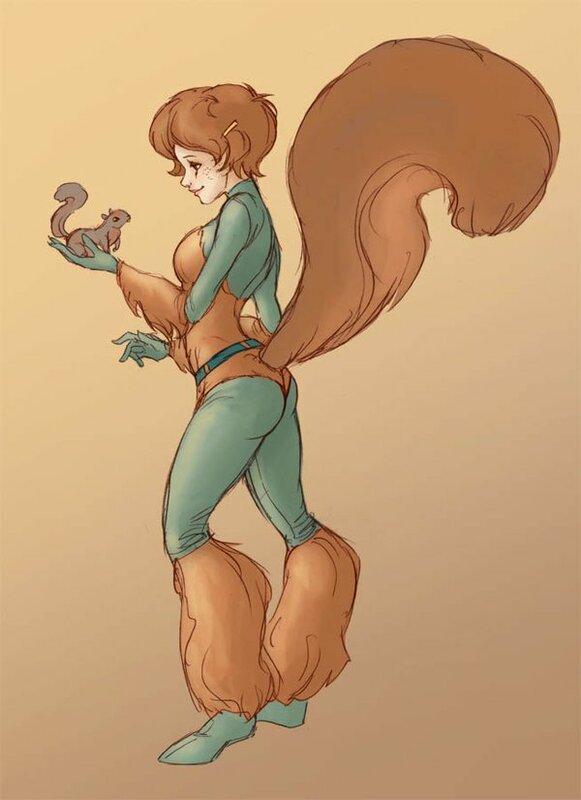 Joe Quesada wants a major Squirrel Girl appearance just as much as we do. Alphabets of Desire: Sorting It Out. Welcome to the first installment of our extended analysis of Alphabets of Desire. 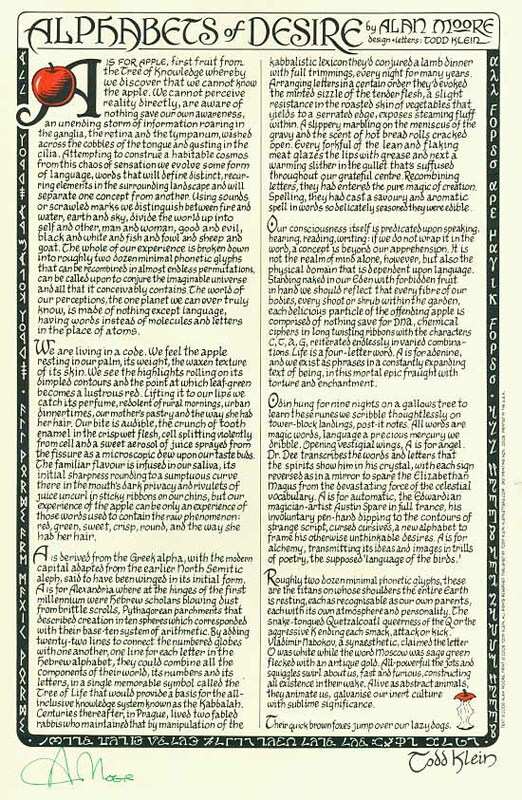 Yesterday we broke ground with a thorough introduction, which includes the full glory of the piece. 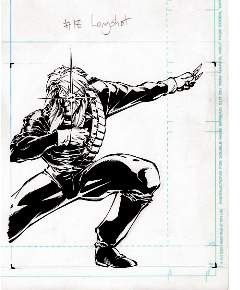 Today we take on the first chunk of text. 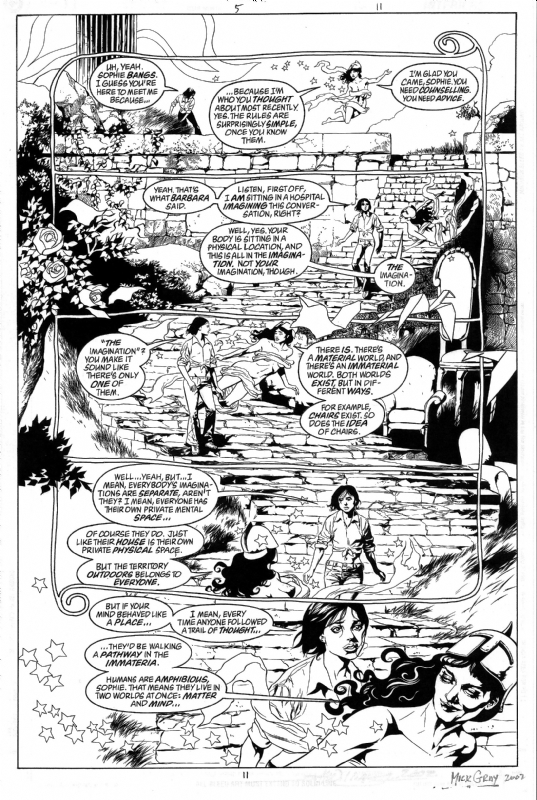 The illustration above is a page from another Todd Klein collaboration with Alan Moore. Promethea is so good that I will never get enough, and that particular page leads into the concept we will be exploring. Hang on to your hat, your head is going to be in question. A is for apple, first fruit from the Tree of Knowledge whereby we discover that we cannot know the apple. We cannot perceive reality directly, are aware of nothing save our own awareness, an unending storm of information roaring in the ganglia, the retina and the tympanum, washed across the cobbles of the tongue and gusting in the cilia. Attempting to construe a habitable cosmos from this chaos of sensation we evolve some form of language, words that will define distinct, recurring elements in the surrounding landscape and will separate one concept from another. When Todd Klein asked Alan Moore to write something suitable for exquisite lettering, language was an obviously perfect choice. The result is a rambling romp through a wordsmith’s wallowing in what words really are. It starts at the top, with the letter “A”. Then it starts twisting. Why cannot we know the apple? The Tree of Knowledge is a metaphor for the roving mind that each of us pilots through life. That slippery little self is rather clever, and it will not stop until it is convinced. There is one big problem with that. Pretty soon the mind knows that there are many things that it will never really know. Science knows how to prove, and in the case of the behavior and characteristics of subatomic particles it has already proven itself completely inadequate to explain the reality of the situation. Don’t even get me started on the big questions. 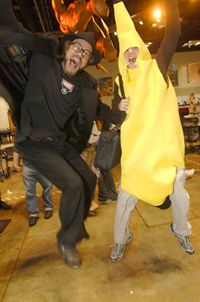 We cannot prove that we are not brains in a jar on the table of some mad doctor. We cannot prove how this all started. We cannot even begin to think about how to prove why things are. As Alan Moore points out, the only thing we ever experience directly is our own personal array of sensory information. He uses technically poetic terms for thinking, seeing, hearing, tasting, and smelling. We feel the world. That’s all we ever do for sure. As social animals, we then look to share our sensations with each other. Before I could explain Alan Moore’s first three sentences to you, I first needed to understand them for myself. That demands categories. Sorting the swirling input calms things down. Dividing the raw feed into boxes of thought is something that uses words as tools. We build a house of flashcards to soothe the roving mind, and then we take pictures to show our friends. Michael Jackson: Rehearsal For Eternity. Some of us count our points in life by how many people get deeply blissed by our existence. Michael Jackson may be the all-time winner in that category. His music will live forever in more hearts than any other.